Hi, I'm Samantha! 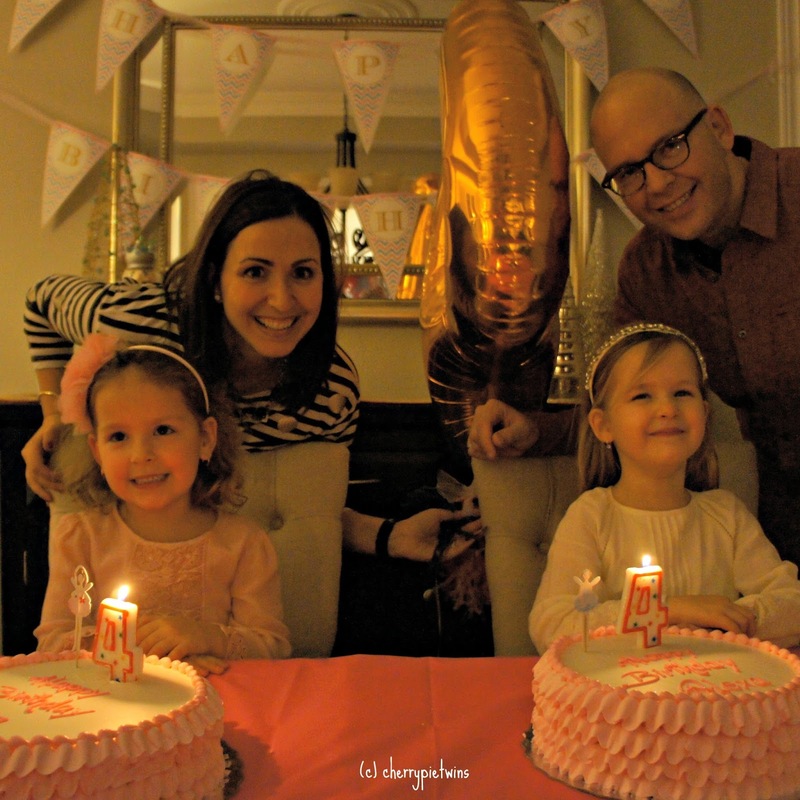 Now that our fraternal twin girls, Mia and Alexa, are 4.5 years old, life is pretty easy. Logistically speaking, that is. Long gone are the days of coordinating our lives around the needs of twin babies with tandem feedings and double strollers. We survived the twin toddler years with the baby gates and potty training. Our girls have even completed their first year of school already. We have a pretty solid routine at home and our girls are quite self-sufficient. At this stage of twin parenting, we are most focused on treating our daughters as individuals. As any other parents of young children, we want to raise them to be well rounded people and give them the skills to learn, think, feel, create, communicate and interact with others. Having twins adds a dynamic to this element of parenting. We have to be mindful of the interplay between our daughters and do our best promote their individuality while also nurturing their special bond so that they can develop into the people they are supposed to be and they can remain to be lifelong friends. 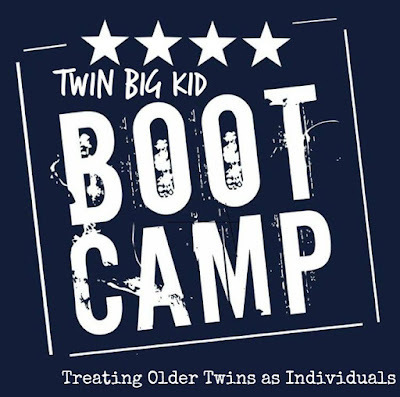 Today, I've been asked to share with Twin Talk some of my experience and advice on how to handle older twins as individuals. Before starting, I want to clarify that where we live (Toronto, Canada) there are two years of kindergarten called junior and senior kindergarten. Children enter junior kindergarten in the year in which they turn 4 meaning all children born in 2010 entered junior kindergarten in September 2014, including my girls. Born on December 28, 2010 they were just 3 years and 8 months old, and they were the youngest in their class. Our school let us decide whether to put them apart or together, and we chose to put them in the same classroom. I mention all of this just to give some clarity to the rest of my post as I know children are a bit older when they enter school elsewhere. 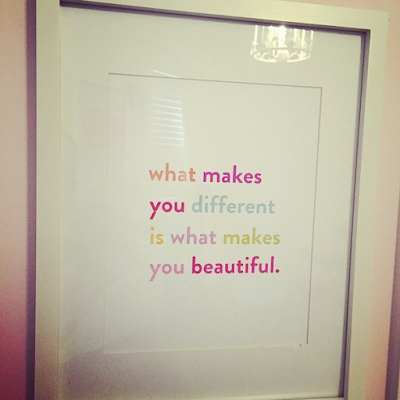 While people marvel at the sameness of twins, it's what makes them different that makes them beautiful. 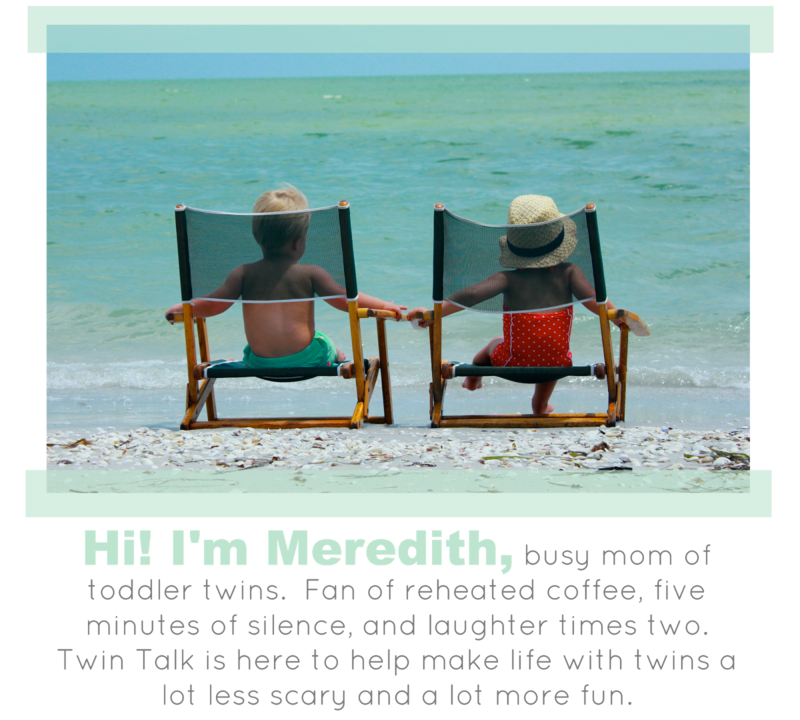 It has always been important to us to treat our twins as individuals. From the start, we haven't referred to them as "the twins" and we never treated them as a unit. For twins, they actually look very differently and we haven't dressed them alike. We have always tried to do our best to celebrate their differences. Before now, there didn't seem to be any downside to celebrating their differences. Around the time my girls entered school, however, competitiveness started to creep into our home. Our girls have become aware of their differences and started to keep score. There's been a lot of "I scored a goal at soccer", "I can read" and "I jumped into the deep end" happening and the problem with all of those wonderful milestones in a twin household is they were achieved by one twin and not the other (at least not at the same time). As a parent, it's difficult to watch the "non-achieving" twin be disappointed when the other has achieved something. But at the same time you can't NOT celebrate the achievement just to spare feelings. Instead, we handle these occurrences by repeatedly having an open conversation about how each of our girls is unique and that's a good thing. We never compare them rather we just keep celebrating the differences. Whether it's at school, sports or life in general, twins will always have developmental differences. By framing those differences positively, you can help your twins to be secure in their own uniqueness and to not be overly-competitive with each other. We do show compassion and empathy if one twin is upset about her sister being "better" or "winning" at something but we really try not to focus on the negative and instead continually remind them that they are different and that's a good thing. I volunteered in their class last year which gave me the opportunity to observe my girls out in the "real world." I was happy to see they didn't operate as a unit or rely too much on one another. They were actually very independent in the classroom and adjusted very well despite being the youngest and having never attended daycare (all of which reaffirming our decision for the same classroom). One day after watching Alexa handle a minor disagreement with another classmate, I had a conversation with their teacher and she made a comment about how Mia and Alexa rarely squabble in the classroom as they would have "already worked out their own interactions at home." It got me thinking about how they do have their own ways to problem solve. Heck, they have been working things out between themselves since before they were even born. Now don't get me wrong, they still squabble and have fights, drama and tears at home but for the most part they are able to work things out by themselves. I think we got to this point by focusing on problem solving and talking through their disagreements with them. When they are disagreeing, my first reaction is to try to stay calm myself (which means managing my own emotions) and ask them to "work it out." And most times this works. If things escalate and I have to step in, then I try to get them to calmly describe what they're feeling without blaming each other, tattling or name calling. It's okay if they are angry or sad. Those feelings just need to be acknowledged so they can be worked out. We can't prevent or eliminate conflict but we can help them learn to work it out. I praise them when they cooperate and work out their problems without needing my intervention. This further encourages this kind of positive behaviour. Also to encourage good behaviour we introduced the bucket filling books when the girls were toddlers. I highly recommend Have You Filled a Bucket Today and the related books to help introduce concepts such as empathy, kindness and appreciation to toddlers and young children. While not made specifically for twins, the bucket concept works great for twins because they learn it doesn't fill their own bucket to empty their twin's bucket. Many of young children's disagreements pertain to having to share. This is a tricky one from a twin perspective. While we all want our children to share in order to play well together, you shouldn't have your twins share everything. In fact, it's perfectly okay for them to feel entitled to some of their own things in order to promote their individuality. My girls share many things but they also have many things that are just their own, and we don't force them to share. When it comes to their own belongings, we try to label things where necessary which actually helps to lessen the disagreements because they can easily identify what's theirs and what's not. It also helps to get us out the door quickly to have shoes and coats labelled even if they're not identical (plus they need to be labelled for school). Another option is to get two of the same things in different colours or patterns to identify them; this works great for things like bikes, backpacks and lunch bags. When it's not possible to have two of the same item, I sometimes rotate things. For example, we have two small plastic drinking cups. They aren't particularly special but the girls love them except that they both prefer the one with a peacock decal (the other has a butterfly). We have lots of cups but they would always squabble over the peacock cup. I set up a rotating system: one gets the peacock cup for an entire day and then it switches to the other the next day. Easy peasy. Since my girls already have to share their birthday (and it being at Christmas time, to boot), it's always been important to me that they each have their own cake and candles on their birthday. 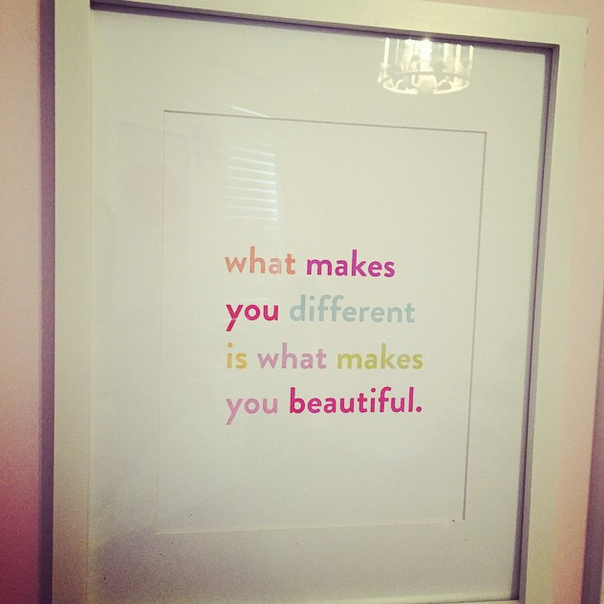 This is just one of the small ways we encourage their individuality and encourage them to have things of their own. Since twins are so used to doing everything together, I can't stress enough the importance of alone time. They need the opportunity to experience things on their own and not always feel like a twin. Alone time also helps to have them grow a strong direct connection with their parents. In our busy day-to-day lives it's not always easy to find time to plan for alone time but it's well worth making the effort even if it's just for 15 minutes. Our girls love it when we plan Mommy and Mia time or Daddy and Alexa time (or vice versa), it makes them feel special. Another way we go about this is to plan a special job for one parent and child to complete. Even if the job is something mundane like returning library books, they love a one-on-one activity with a parent. We also find these little moments help us to disconnect from our "to do" lists and our phones and just focus on a few quiet minutes alone with just one daughter (any parent of multiples knows how special it feels to only handle one child at a time). Our girls always come back energized after having time spent apart. In addition to being in the same classroom, our girls have done all of the same activities. This is mostly because they have the same interests (dance, skating, swimming, soccer). I can't deny it's also the most convenient for us. That said, I know things can't go on this way forever. As soon as they start to show or express interests in different activities, we will start to plan for separate lessons. In the mean time, we try to plan one-on-one events and outings and even just time spent apart in different parts of our home. As for school, we have decided it's the best for them to stay in the same classroom for senior kindergarten and we will reevaluate next year for grade 1 (and every year thereafter). 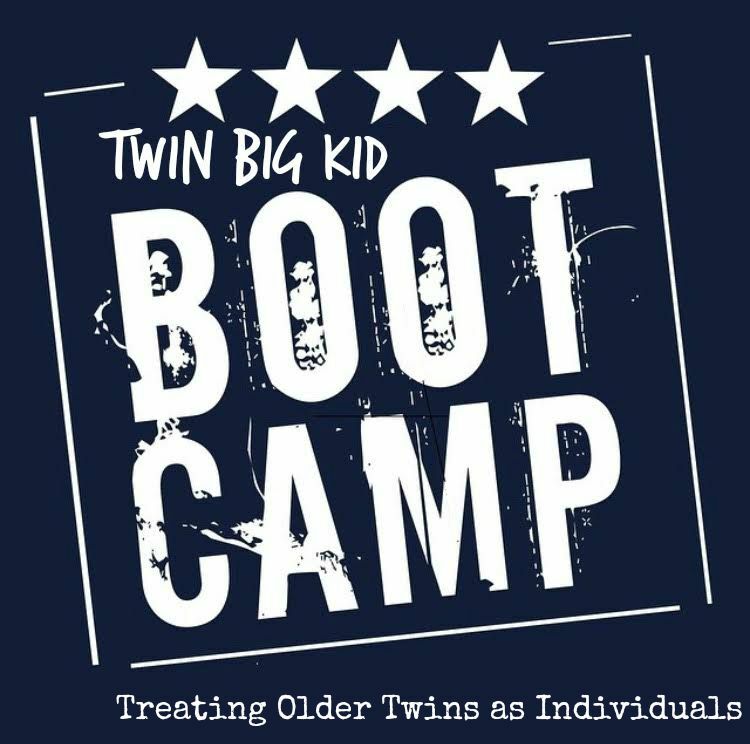 I hope these tips and experiences will help other parents of twins to promote their individuality and bring out their unique personalities. While their individuality is important so too is the bond between them. There is a special and unique connection between twins. Our hope for our twins is that their special twin relationship continues to grow and they remain best friends into adulthood. By promoting their uniqueness and allowing them to grow strong in their own identity, I think they can appreciate their twin sibling and strengthen the special twin connection. All of the above is based on my own experience as a twin mom and also in part on what I have read from the books mentioned below (some of which I have paraphrased). My favourite twin specific parenting books are Emotionally Healthy Twins and Parenting School-Age Twins and Multiples. The latter book specifies issues of identity and discipline based on the different subgroups of twin types. Interestingly, twins like mine (non-identical girl twins) are the most independent type of twins. For non-twin specific parenting books, I have relied on Parenting Without Power Struggles and Peaceful Parent, Happy Kids. I highly recommend all of these books. For more on my journey raising twins, check out cherrypietwins.blogspot.com or you can email me directly at cherrypietwins@gmail.com should you have any questions. Great ideas Samantha. I'm going to look up the bucket book for my 6-year-old boys.